Info & News about our projects and company. Tab Property EnhancementBlogBlogShould You Repair or Replace Your Current Deck or Porch? Many times per year customers call me for an estimate to repair their deck. My first question is, “How old is your deck?” If it is over 15 years old we only offer replacement. This makes many customers upset; however, a deck older than 15 years usually has many issues. Ledger board attachments are not correct, beams are not attached to the posts correctly, and decks that old are usually supported by 4 x 4 posts in the ground. More times than not, 4 x 4 post starts to rot after 10 years. Even though you cannot see it, more often than not, the post in the ground is rotted and unstable. We only use 4 x 6 or 6 x 6 posts to help improve the longevity of all our decks. To build a deck the correct way is expensive. Building code requirements are getting tougher and tougher and changing each year. New brackets and reinforcement techniques continue to be updated. Many contractors, to save on costs and lower their prices, try and cut corners when it comes to building decks. Most of the time customers do not know the difference and are typically only worried about the bottom line cost. Customers should always do their research on which company they are hiring, installation techniques, get references and referrals of other work, and ask questions. Because decks are getting more expensive year after year many people would rather repair their deck, than replace it. There are many choices available as to whether to use composite or wood decking. I try and explain what types of materials are available and how we install our decks. We typically use Azek Composite Decking or Western Red Cedar decking. Western Red Cedar is an alternative choice to pressure treated wood and is less expensive than composite. It does however require maintenance. Cedar does not have any chemicals in it so it does not bend, warp, or move like pressure treated wood. The finished product is much nicer as well. If you want a maintenance free deck, than composite is the way to go. Please contact us for a FREE Estimate or email us anytime with any other questions. 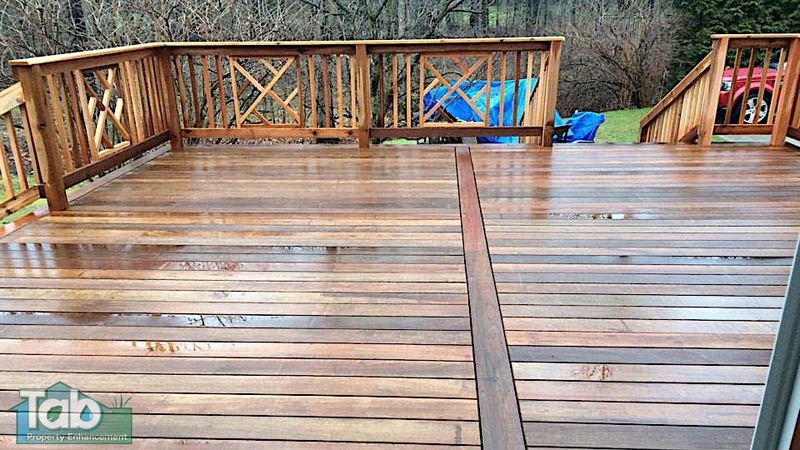 We look forward to working with you on your next deck project.